Dan Thorman Jr. is the Production Manager at SERVPRO of Leavenworth & NW Wyandotte County. He has several years of experience and has the following certifications from the Institute of Inspection Cleaning and Restoration Certification (IICRC): Water Removal Technician, Applied Structural Drying Technician, Anti Microbial Remediation Technician, and Carpet Cleaning Technician. In addition Daniel is a Certified Asbestos Building Inspector. 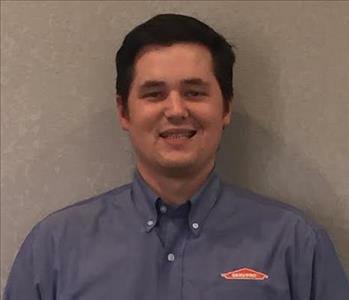 Eric Rice is a Production Manager at SERVPRO of Leavenworth & NW Wyandotte Co. He has several years of experience and has the following certifications from the Institute of Inspection Cleaning and Restoration Certification (IICRC): Water Removal Technician, Applied Structural Drying Technician, Applied Microbial Remediation Technician and Carpet Cleaning Technician. Drew Gregory is the Operations Manager for SERVPRO of Leavenworth & NW Wyandotte Co. He has several years of experience and has the following certifications from the Institute of Inspection Cleaning and Restoration Certification. (IICRC) Water Damage Restoration, Fire and Smoke Restoration, Odor Control, Applied Microbial Remediation, and Commercial Drying Specialist. Paul Goode is the Marketing Manager for SERVPRO of Leavenworth & NW Wyandotte County. He has several years of experience working with different communities to bring fun and exciting marketing based events to life. 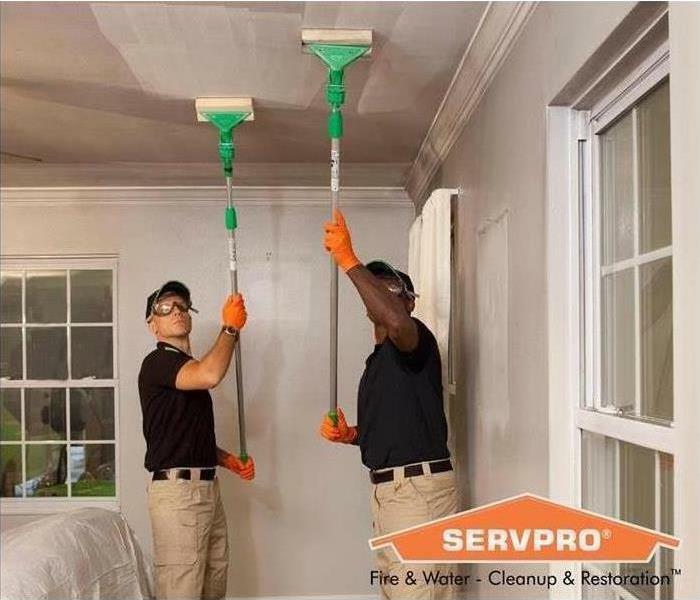 Jake Mitchell is a Crew Chief at SERVPRO of Leavenworth, W Topeka, & NW Wyandotte County. He has several years of experience and has the following certification from the Institute of Inspection Cleaning and Restoration Certification (IICRC): Carpet Cleaning Technician, Water Damage Restoration, and Applied Microbial Remediation. 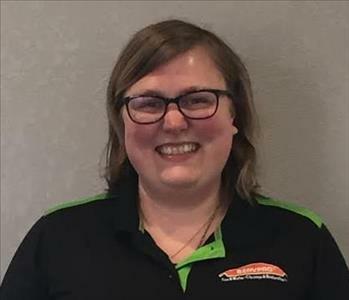 Sarah Thorman is the Office Manager for SERVPRO of Leavenworth & NW Wyandotte Co. She has 10 years of customer service experience and is constantly working to make our SERVPRO office as friendly and efficient as possible. Emma Amos is an Administrative Assistant at SERVPRO of Leavenworth & NW Wyandotte County. She has several years of experience and has the following certifications from the Institute of Inspection Cleaning and Restoration Certification (IICRC): Water Damage Restoration, Fire and Smoke Restoration. John Hickman is an Administrative Assistant at SERVPRO of Leavenworth & NW Wyandotte Co. John's duties include Internal Job Audits, Estimating, and Information Technology. He has the following certifications from the Institute of Inspection Cleaning and Restoration Certification (IICRC): Water Removal Technician.